BuddyDo is the best way to for nonprofits to work with volunteers. From making announcements and sharing information, to planning events and coordinating volunteer tasks, BuddyDo keeps everyone connected, organized and in sync so you can focus on your cause. 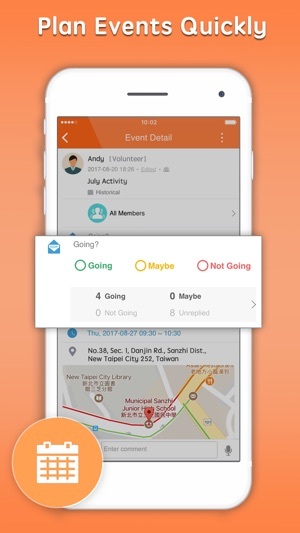 Whether you are a large organization coordinating multiple volunteer teams or a passionate small community, BuddyDo helps you do more together on the go or from your desk with one convenient app, saving you the hassle of setting up every volunteer on multiple apps. 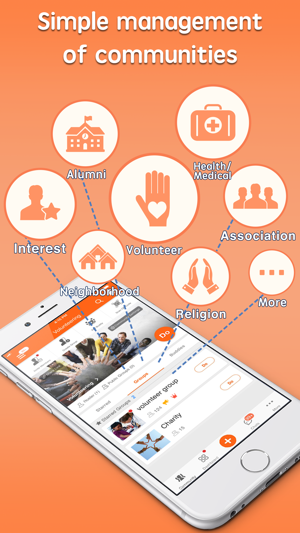 - Organize volunteers with groups by team, location, event, project or however fits with the nature of your community. 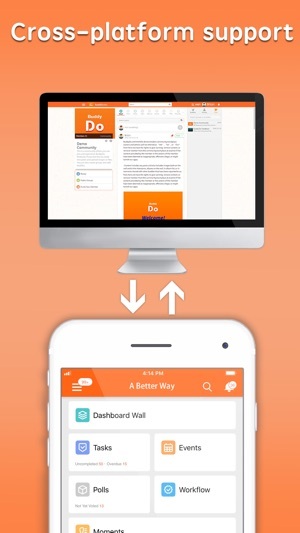 - Broadcast information to your whole organization through the community wall or just share with selected groups by posting individual group walls. - Invite volunteers to participate in events, know who is coming with RSVPs, publish date/time, location and share additional information. 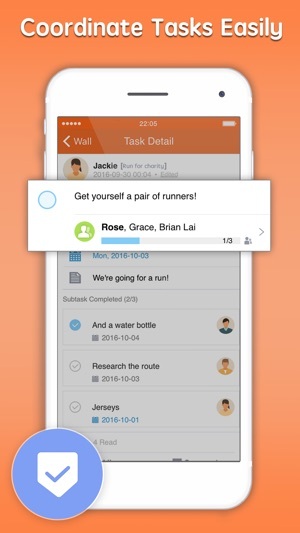 - Work together with shared tasks. You can manage progress by assigning people, setting due dates, creating sub-tasks, monitor progress and send reminders. - Use polls to collect feedback or make group decisions. - Create shared photo albums to record events, capture special moments, share achievements or just for fun. - Always know which volunteers you have reached for every information you share, every event, every task. 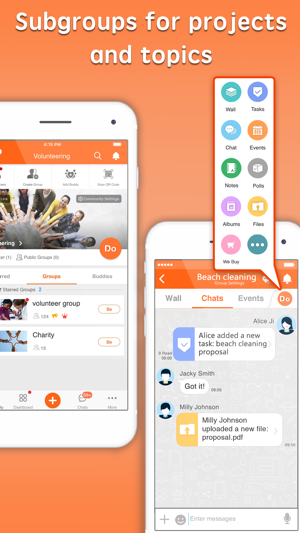 - Easily invite volunteers to join, manage your volunteers with community roster, and control your community space with flexible privacy and permission settings. - Internal management including Organization tool for community structure and Approvals for everything that requires multiple personnel approvals. To provide you with the best BuddyDo experience, we strive to make our app better. What I love about this app is that it supports multi-device login with real-time updates whether you are on PC or smart phone, now I won't miss important details on projects when I'm out of the office, because it has a wall posting every bit of information exchanged. I track my teammates progress with this app without having to interrupt them. And the communication channel is designed to make sure people are well-informed on what's going on. Our team can't work without it. Great job to the BuddyDo team! The app has so many tools such as Tasks, Events, Albums, Expenses and Approvals. Also, by having smaller groups within a community makes team communication much easier.